Signups for, "Narrative Collage Necklace Workshop" are now open! 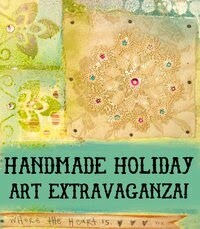 I'll be teaching in Pittsburgh at the Crystal Bead Bazaar the week before Christmas. So why not treat yourself to a little gift or take the workshop and make something special for someone special in your life. 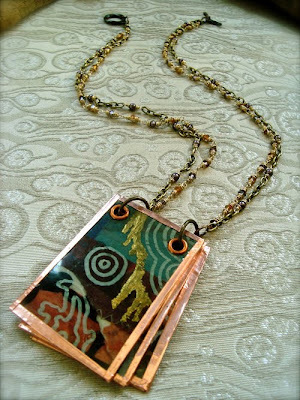 In this all day workshop, students will explore the medium of collage and create a piece of narrative art jewelry that captures and presents their work. This class will be broken down into two sections. The first will focus on creating collages, working with paint, adhesives, and archival practices to preserve their artwork. During this time, over half a dozen different collage techniques will be covered. The second portion will concentrate on taking the collages from the first half and creating a unique artist's book pendant with mica. A short period of time at the end will be allotted for each student to embellish their necklaces to showcase their focal or create additional collage components from the remaining mica from their class kit. Students will receive a take-home booklet featuring the techniques explored during class. CLICK HERE and scroll to the bottom of the page to sign up! The winner for this past week's special Thanksgiving edition of Thursday Giveaway is Rebecca of Songbeads. Congratulations! Be on the look on Thursday for another chance to win! I once had a studio in an old factory. The floors were wooden and would bounce and creak every time I'd walk across them. One day the owner of the building told me that they would have to rip up some of the floorboards to fix some of the old pipes. It'd take a few days. I was still allowed to use my studio, I just had to be mindful of the hole and not get in the way of the repairmen. When they pulled up the floorboards, more than just pipes were exposed. Little bits of life that had fallen through the cracks were sprinkled within the crevice. They were layered upon each other, the topmost belonging to me. Here I found the phone number of a friend I had lost. Here I found a piece of vine charcoal that had mysteriously vanished. I thought I was going crazy the night I lost it. I was in the middle of an intense drawing session when I set it down, got up, looked at the drawing a few paces back for perspective and then returned to fix a problem, only to discover it missing. I tore the place apart, looking futilely. Eventually I was so disgusted that I just left, drawing unfinished. Beneath the floorboards, little pieces of paper, string and leaves had fallen. They'd been swept up, or so I thought. German glass glitter, silver shards of mirror from one that had broken the day I moved in, loose change, a maraschino cherry stem from a party I had... and lots of dust... all there unbeknownst to me. There were things there from other people as well – people who had occupied the space before me. There was even traces from the days when the studios were still factories, ghosts of days long past. Today feels like one of those days where the floorboards have been lifted up. One of those days, when you look around and realize that so many little things have slipped between the cracks. But here they are again and now you have to deal with them. Lots of little deadlines, promises, and emails have accumulated... things I thought were finished or done, or have come to terms with being unfinished. Let's hope that there's a proverbial diamond stud at the bottom of this pile, like there was under the floor of my old studio. Do you have a quick and easy jewelry project or design that you would like to share with others? Stop by A Bead A Day to pick up an idea or leave an idea! Find out the latest news, including a tight deadline, for an awesome jewelry making challenge sponsored by Rio Grande and Lark Books. Get your jewelry shop ready for the holiday shopping season with help from Art Bead Scene! Michelle searches the toy store to get ideas for earring displays for her upcoming craft show. In a two part story Carmi glams up a name tag with jewelery components. 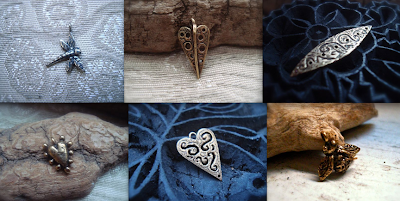 Watching your pennies while trying to make fabulous jewelry for gifts this holiday season? Cindy can help you, read on! A thrift store find inspires Melanie to make some fun dinosaur tear pendants. The latest news from Artbeads : voting and a new sweepstakes! Happy Thanksgiving! Celebrate the holiday with a special Thursday Giveaway sponsored by Auntie's Beads! It snowed all last night, blanketing the landscape of muted browns and grays in a fine powdering of white snow. I woke up to this stark, desolate beauty. I can appreciate it, but I am not a cold weather person at all. Although I've lived in the Northeast for several years now, I just can't get used to it. The first time I saw snow falling, I was walking by the Empire State building and thought it was so beautiful... and then I fell. Yesterday, I stopped in at the Westmoreland Museum of American Art in Greensburg. I thought it was a good museum and will definitely go back again. 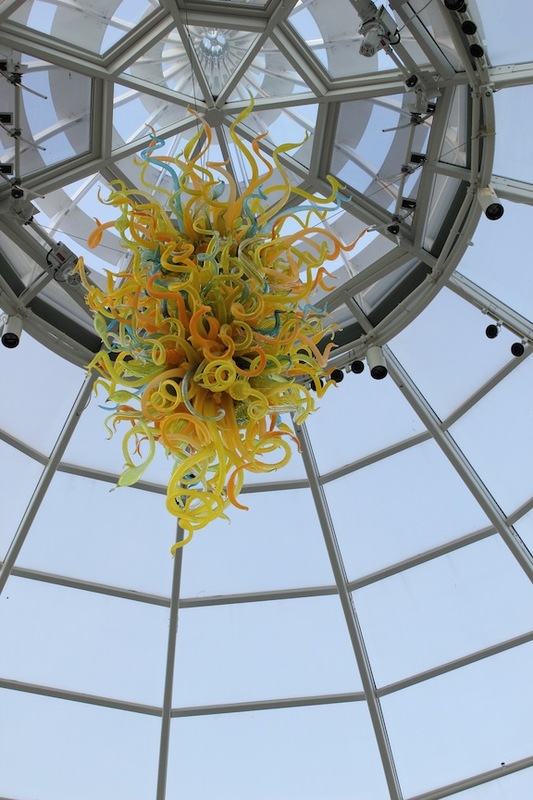 The permanent collection was diverse and featured several local regional artists. In fact, I learned of several new artists who created work in or around Westmoreland county. Some of the highlights were works by George Hetzel, Hovsep Pushman, Oscar Bluemner, Violet Oakley, and Mary Cassatt. The also featured two exhibitions, Born of Fire and Remnants, that I enjoyed quite a lot. Born of Fire is a chronicle of steel (and the people who worked with it) through art; the etchings and industrial landscapes were both familiar and haunting. Remnants is a solo show of the work of Pittsburgh artist and gallery owner, Joyce Werwie Perry. She works in encaustic and oils, utilizing her palette knife to great effect. Her subject matter is of old photographs, lending an air of nostalgia and faded memories. It rained all day on Thanksgiving. 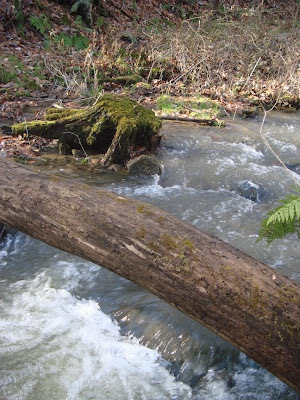 The local creeks and streams swelled and the currents became considerably quicker. While I was pulled over, taking pictures of the rushing water, one of my neighbors pulled up. He asked me if I was looking for Hellbenders. I didn't know what he was talking about. It sounded like a punk band or some kind of bad B horror movie. I later discovered that the Hellbenders (also known as Cryptobranchus alleganiensis) are a type of giant salamander that are quite rare. These creatures with undulating skin, beady eyes, and snub noses are not fiction, but fact. One of the local conservation groups apparently tracks these unusual creatures and have noted that they were on the rise in this area. 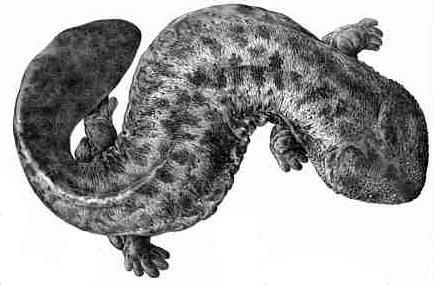 In some places the indigenous populations of Hellbenders are considered endangered species or "of special concern". With the new Marcellus Shale natural gas wells being dug not far and their water requirements (and subsequent pollution of natural sources of water) I wonder how long these creatures who can live up to 50 years will continue to thrive. It would be sad to see another species slip through the cracks of time, becoming a thing of myth and fantasy. To celebrate Thanksgiving, one lucky winner will take home TWO prizes courtesy of Auntie's Beads! What's up for grabs? Auntie's Beads has generously provided a sparkling strand of faceted, polished agate and a collection of Miyuki seed beads! I adore natural stones. Their inclusions, earthy colorings, and organic patterning make them truly things of beauty. These nuggets of natural striped agate have been faceted and polished to bring out and enhance their lustrous qualities. Wouldn't these be striking in a Viking knit bracelet or simply strung together in a necklace? Used with natural brass filigree, the warm rich browns swirling in the stone would sing! I'm not a huge seed beader, but I appreciate small things and precision. These seed beads have been masterfully crafted and their uniformity is remarkable. I'm really in awe of such fine examples of perfection. These are really gorgeous. To win these lovely goodies from Auntie's Beads, all you have to do is leave a comment on this blog post. It's that easy! One lucky winner will be randomly selected from the comment section of this post on Monday (November 29th) at midnight EST. Please leave your name and contact information if it doesn't already appear next to your comment. This special Thanksgiving Thursday giveaway is open to all participants, including international readers! Bonus Points: Do you really want this string of natural striped agate and selection of seed beads? If so, you can earn additional entries by blogging, updating your Facebook page, and/or Twittering about this Thursday Giveaway. Don't forget to add your act of social media kindness as a SEPARATE comment to this blog post for your extra shot at these lovelies. Extra Bonus Points: Serious about winning? Why not earn an extra entry? Swing by the Auntie's Beads website and take a look around. Report back here afterwards and leave a separate comment letting us know what catches your fancy and why! CLICK HERE to visit the Auntie's Beads website. Tomorrow is Thanksgiving. I think it'll be the first Thanksgiving in years where I didn't have definitive plans. (We rescheduled our celebrations here to accommodate family coming in from out of town in a few weeks.) Although there will definitely be festivities at a later time, it seems weird doing nothing for the actual holiday. When we were growing up, it was one of those holidays that I truly enjoyed. All the relatives would get together and we would cook and reminisce. We didn't have to worry about if people would like our humble gifts or not. We would eat until it hurt and then play games. And although there would be mild bickering in the background, it didn't seem to matter. Later, when I was on my own in New York City and before I really knew anyone there, I would use it as a day of service and would volunteer at the soup kitchen. The line would often stretch down for many blocks, thousands of people long from early in the morning into late in the evening. It was hard work, but it was important for me that everyone got a good meal. Then one year, the shelter said that they had over-booked volunteers and that they didn't need me to help. So, a new tradition was formed. For a lot of people in the City, they only get a day off for the holiday and it doesn't make sense to travel back to their far-flung homes. So I gathered up everyone I knew who didn't have plans. Many of them were friends who I knew from Florida, who had migrated North after I had. Some of them were college cronies. Some of them were roommates of friends. We had an open door policy. No one was turned away and everyone left with their bellies full! I remember one year, it got so hot in my apartment from the oven and stove going that we had to prop the door open. My neighbor (who I had seen infrequently and did not know well) passed by holding a TV dinner. We invited him in and he joined in on the festivities. Coincidentally, he met one of my friends at the gathering and I believe are still together to this day. Another year, after eating until we all felt like we were fit to burst, a friend from work leaned in and said, "That was the best meal of my life." The food we had that night wasn't anything particularly fancy or complicated, but it was prepared with love and the door was open. The winner for this past week's Thursday Giveaway is Shannon LeVart of Missficklemedia. Congratulations! Be on the look on Thanksgiving for another chance to win! To get a jump start on the Thanksgiving celebrations, I'll be offering a limited time sale in my shop. Use coupon code, "THANKS" at check out to save 20% off everything in the shop. It's my little way to show my gratitude and say THANK YOU! The code will be active from now until midnight EST on Friday. So don't delay and start saving! CLICK HERE to visit my shop. I was feeling a little bit like I was coming down with a case of cabin fever on Sunday. The view from my window is quickly becoming sapped of anything but shades of grey and brown. The day though was a gift of warmth and sunshine. So we decided to take advantage of it and head into Pittsburgh. Our first stop was the Hunt Institute for Botanical Documentation on the fifth floor of a library at Carnegie Mellon. 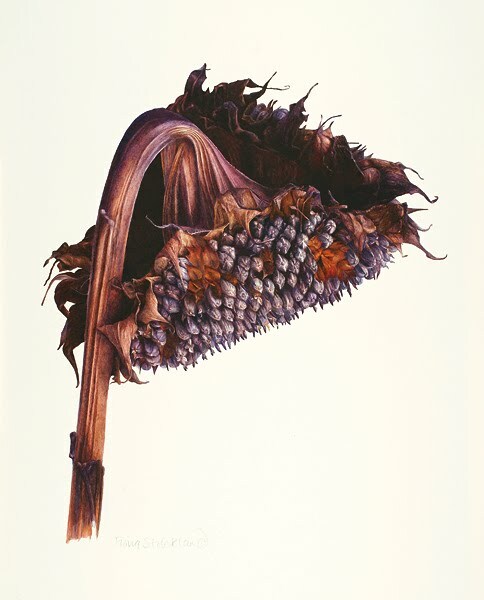 Until December 17th, they're hosting the 13th International Exhibition of Botanical Art & Illustration. The degree of technical skill presented is astounding. For instance, to the left is "Helianthus, Last sunflower", by Fiona Strickland of Scotland. After the tour with the delightful docent, Angella (who is also a botanical artist and was kind enough to share some of her work with us), we went across the park to the Phipp's Conservatory. I've been meaning to go to this for ages and am glad that we finally did. The conservatory is home to several Dale Chihuly glass sculptures. With their bright colors, biomorphic forms, and liquid lines, they fit right in with the specimens of botanical beauty. I loved the orchid room. In fact, I think I took the majority of the pictures there. I love the sensuous shapes and speckled patterns. The arrangements were so painterly. For instance, if you were to extract the colors from the photo above and turn them into globs of paint, the shocking violet mixed with the verdant green would create the same silvery tonal grey as the Spanish moss hanging behind it. Perhaps it is coincidence, perhaps not? I could spend years working my way through all the different glass rooms. 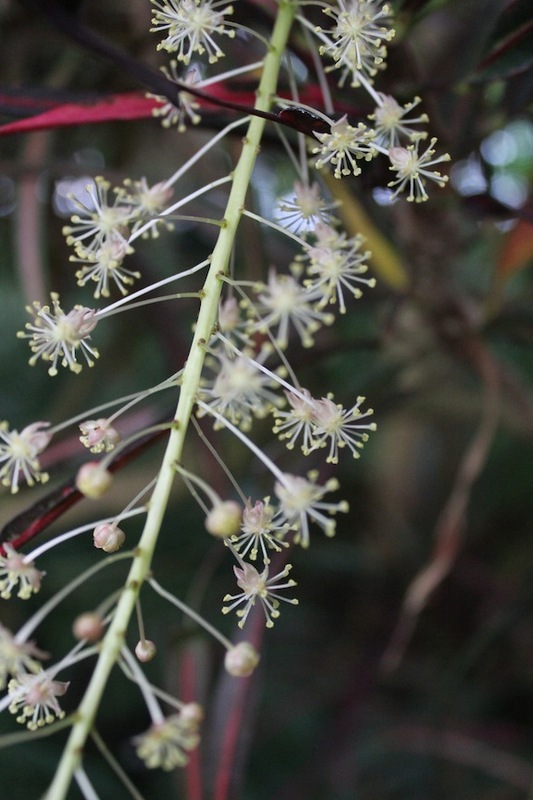 They are filled with thousands of varieties of plants. Some of them would be easy to miss if rushing by. This is definitely a place you've got to stop and take your time at. Also particularly lovely was the desert room. The cacti, succulents and desert flora made me excited even more for my trip to Tucson this winter. I plan on trying to identify as many plants as possible while there and stop by the Tucson Botanical Gardens. I've only been at night and the conversation was too good to pass up, so I missed my opportunity to explore. I won't pass it up again! Speaking of the Tucson Botanical Gardens, they're featuring a selection of plants inspired by Amy Stewart's book, Wicked Plants: The Weed That Killed Lincoln's Mother and Other Botanical Atrocities. I was lucky enough to see Amy speak at the Brooklyn Botanical Gardens awhile ago and see the beautiful etchings by Briony Morrow-Cribbs that illustrate the book in person. CLICK HERE to read about that. Another of my favorite parts of the Conservatory, was the Japanese garden. Even though much of it is going dormant for the winter season, some of the maples are still lush with blazing red leaves. It's a calm and peaceful place and I definitely want to come back in all seasons. The trip to alleviate my touch of cabin fever was a success! The pastures were greener on the side... literally. I left feeling blissfully exhausted by the overwhelming inspiration and the exploration of botanical knowledge. In celebration of the upcoming Thanksgiving holiday, Lisa is collecting stories and photos of the gifts of jewelry we make and give to show our thanks to others. Tammy tackles the never ending question about soldering irons and making jewelry. Take a Trip into the Woods via ABS's Friday Picks! Cyndi currently has TWO fabulous giveaways going on: Acculon beading wire and a Murano glass pendant! Carmi has a cute little felt ring project to share this week. This week, Cindy's mad for "snow globe-ish" jewelry! Jean has an amazing, don't miss, book giveaway! All you have to do is leave a comment on her blog and you might became the winner of Lark's completely stunning 500 Plastics Jewelry Designs--what a marvel of a book! Take a tour of Africa through its beads! Win a $75 gift certificate to The BeadChest in this week's Thursday Giveaway! While I was sick, my shop sort of fell to the wayside and I didn't make any updates for some time. Now that I'm getting better and trying to get back in the swing of things, I restocked most of the Candice Wakumoto components. Some of them had been sitting in bags, waiting for months to be added! CLICK HERE to take a gander at the recently restocked selection! I also added two more Candice Wakumoto designs to the inventory and will be adding brand new designs that were just recently created within the next few weeks. 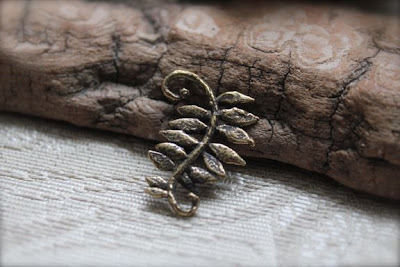 One of the reasons this fern leaf link has been delayed in launching in the shop is that I like to hoard them fiercely and use them in my own finished jewelry. They're absolutely wonderful in earrings. I add an earwire with a jump ring or two and add a wire-wrapped crystal dangle at the bottom and PRESTO! Stunning earrings! CLICK HERE to check it out! This little guy is a cutie and would be the perfect addition to a charm bracelet. For a splash of color, why not mix up a little bit of resin and colorant and fill in the heart? (Susan Lenart Kazmer just debuted ICE resin in syringes, ideal for measuring small amounts.) CLICK HERE to take a look! I'll also be adding some ceramic Keith O'Connor components within the week. Those two have been waiting for months to be added. Now that Big Cartel has upped their largest package, I can easily accommodate lots of treasures that I've been holding on to for a while. So keep checking my shop for the latest updates! If you're a long-time follower of this blog, you've probably become used to the ebb and flow of my posts. Over the next couple of weeks (and months), changes will occur. Some of them might be spotted right away and others might not be noticeable at first. Hopefully the changes, both large and small will be happily received and further enhance your experience. I aim to provide more in-depth and inspiring content, as well as make it a more interactive place to visit with more contests, challenges and giveaways. More jewelry! More art! More writing! More of hopefully what you enjoy best! Joan and Lana of Off Center Productions, two very talented ceramists of one-of-a-kind components based out of the Northwest, were kind enough to auction off a fantastic stoneware box to help with my medical expenses. (Thank you both so much for helping!) Along with the check from the auction, they also sent a cigar box filled with all kinds of treasures. When I opened the box, my inner six year old squealed with pure joy! What wonderful goodies! Many of them were from ArtFest, which I really would like to go to one day. When we were growing up, we used to keep treasure chests like these, collecting gum-ball machine prizes, unusual found objects, hard-earned little luxuries and mementoes. It was a lovely surprise and both me and my inner six year old enjoyed all the little novelties greatly! This week, one lucky winner will take home a $75 gift certificate courtesy of The BeadChest! Their tag-line is, "African bead superstore and more." When they say that, they're not kidding! The BeadChest is filled with a wide array of African beads from all over the continent. Whether you're looking for recycled glass beads from Ghana, metal beads from Ethiopia, clay beads from Mali, or bone beads from Kenya – they've got it! Navigating their website is like getting a tour of continent through its beads. Some of the beads are over a hundred years old and have been made in the same way for generations. Looking at the beads, an intrinsic part of everyday society and culture, you get a real feel for the people who make these adornments and the people who worn them for centuries. The beads are touchstones to rich traditions and bring so much to the pieces that they're incorporated in. I love how something with such deep roots can be transformed into fashionable, contemporary jewelry. The BeadChest also carries a variety of trade beads, Czech glass and Afghani jewelry! Lots to chose from, for sure! While you peruse the selection of beads at The BeadChest, be sure to check out the The Ultimate Guide to African Beads and their blog. Both are filled with useful information about where the beads come from, what they're made of, who made them and what the differences are between each kind. 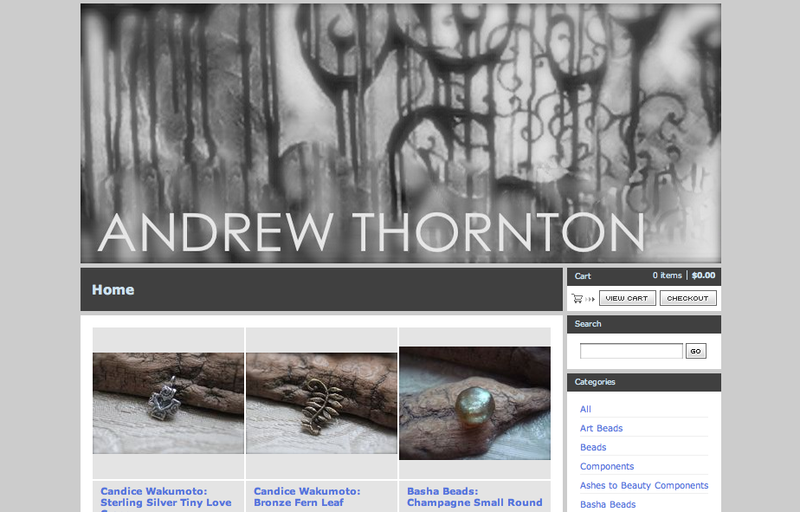 I found the blog entries "Why are trade beads dirty?" and "What tribes are most known for their African Beads?" particularly interesting and I definitely feel more knowledgeable about the subjects after reading them. Imagine what you could do with $75 worth of FREE beads! You could pick up some brightly patterned glass beads from the Krobo tribe, Maasai seed beads, or mock coral beads from the Yoruba tribe! $75 dollars goes a long way; most of the beads featured on the website are extremely affordable and are great deals! To win this generous gift certificate for $75 for The Bead Chest, all you have to do is leave a comment on this blog post. It's just that easy! One lucky winner will be randomly selected from the comment section of this post on Tuesday (November 23rd) at midnight EST. Please leave your name and contact information if it doesn't already appear next to your comment. This giveaway is open to all participants, including international readers! Bonus Points: If you really want to increase your chances of winning, you can earn additional entries by blogging, updating your Facebook page, and/or Twittering about this Thursday Giveaway. 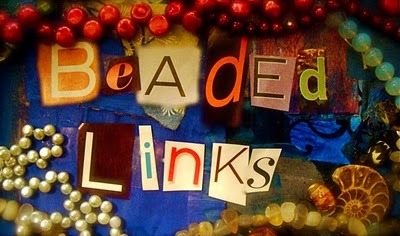 Be sure to mention that the gift certificate is for The BeadChest and include a link back to this week's sponsor (http://www.thebeadchest.com). Don't forget to add your act of social media kindness as a SEPARATE comment to this blog post for your extra shot at this gift certificate! Extra Bonus Points: So, are you really in it to win it? Earn another entry by stopping by their website and taking a look around. Report back here with a fun fact you learned or an item on their website that you've just got to have. Leave it as a separate comment for an extra chance to win! CLICK HERE to go to their website. I've really been moved by the outpouring of support the community has provided. I don't know what I would do without you! Thank you! The generosity and kindness my fellow crafters and creators have shown is truly overwhelming. THANK YOU! The very talented Diane Hawkey has joined in on the fundraising efforts to help alleviate my medical bills by making and auctioning off on her blog, this awesome mixed media spirit doll! I was really touched by her post and feel lucky to know her. Friendship is a sheltering tree! To find out more about this work of art, see detailed close-ups and to bid, CLICK HERE. (Everyone who bids will be entered to win a very special surprise!) CLICK HERE to check out more examples of Diane's work and HERE to check out her Etsy page. The delightful Genea Crivello-Knable has generously donated a "Vortex Flower" necklace to be auctioned off on her blog to help raise money to conquer my recent medical bills. 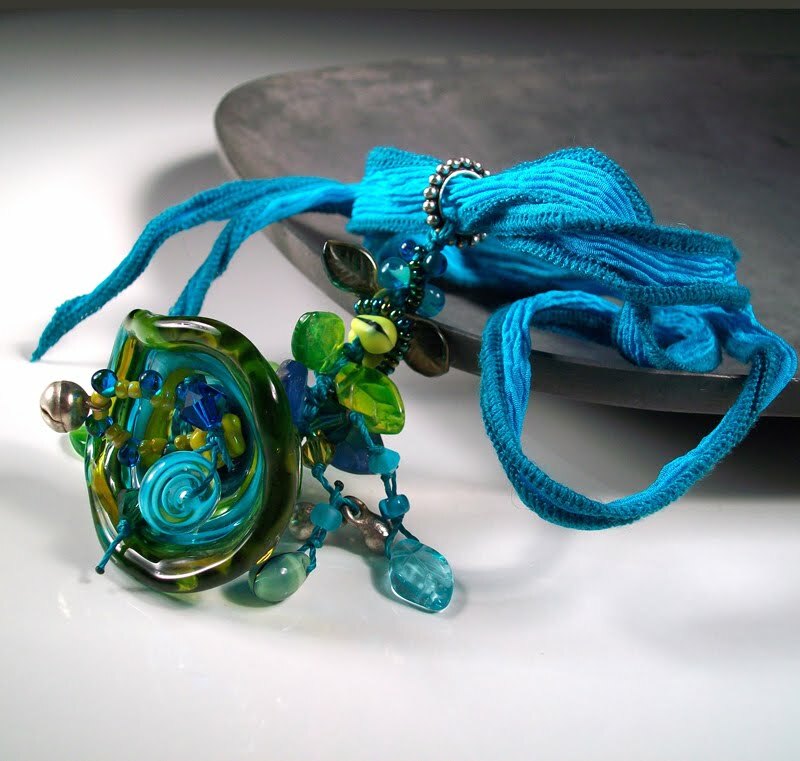 Strung on a silk ribbon is a swirling, amorphous, embellished pendant in greens and blues featuring some of Genea's handmade lampwork beads. I love how organic and modern it is. It'd make the perfect holiday gift for a loved one or for yourself! 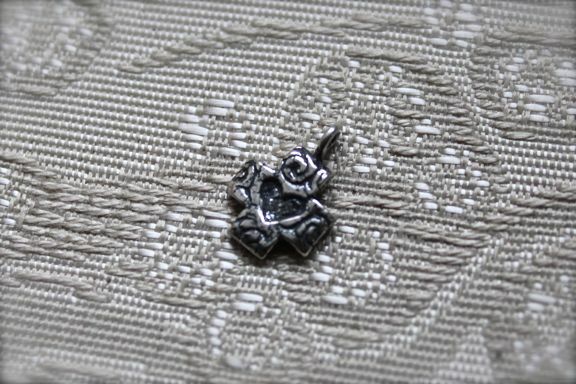 To find out more about the necklace and how you can bid to win this enchanting piece, CLICK HERE. Also check out more examples of Genea's work HERE. Looking to do a little bead shopping? Stock up on Swarovski crystals, artisan beads, and much, much more! Bello Modo has generously put up a sale on their website to help defray my medical expenses. Isn't Pam a sweetheart? The sale lasts from today (Wednesday) through Saturday (at midnight PST). You'll receive 10% off your entire purchase (excluding sale items) and 10% goes towards paying off my medical bills. Get a little and give a little at the same time! All you have to do is use the coupon code, "ANDREW" to receive your discount and help me out. To learn more about this special sale, CLICK HERE to view their newsletter. CLICK HERE to get shopping! The winner for this past week's Thursday Giveaway is Pam of Klassy Joolz. Congratulations! Please email me with your contact information and I'll put your prize in the post. Be on the look on Thursday for another chance to win! If you're near Lynbrook, NY at the beginning of December, you should definitely join Karen Michel at the Handmade Holiday Art Extravaganza! The festivities take place on Sunday, December 5th from 3:30 PM to 8:30PM and will include handcrafted art, jewelry and more perfect for that special holiday gift. CLICK HERE for more information. I bundled up and took a walk today. The sky was grey and threatened to rain again... and again... and again. I normally would have stayed inside on a day like today, but I knew that I needed to get out of the house. I've felt too stagnant lately, stewing inside the walls of my home. Perhaps I had a touch of cabin fever? In any event, I bundled up and took a walk today. The cold air made my lungs sting. My breath escaped my lips in thin, wispy, ribbons of steam. I could tell without seeing myself in a mirror that my nose was red. Most of the green has faded to brown or bleached out golden. 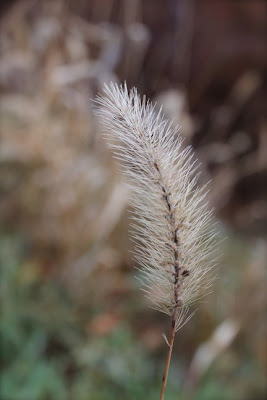 Bottlebrush grasses wave in the wind, combing the breeze with prickly hairs. In the woods, someone excavated a child's lost treasures now faded and rusty, and various bits of debris. When all the leaves fall and the landscape becomes barren of undergrowth, things emerge. Old bottles and crumbling spray cans that have weathered many long seasons, come out and can be seen. I marveled at the pattern of a fallen tree. The wood was soaked with cold rain, making the striations darker. The texture was smooth and weathered. I wonder how much longer before its rings and many years of making merge with the forest floor, becoming rich earth and feed another generation? The woods look naked to me. All the leaves lay strewn around the bases of the trees like discarded clothes of a lover. Nothing hides their branches. They are left to shake in the chill of the wind stripped. 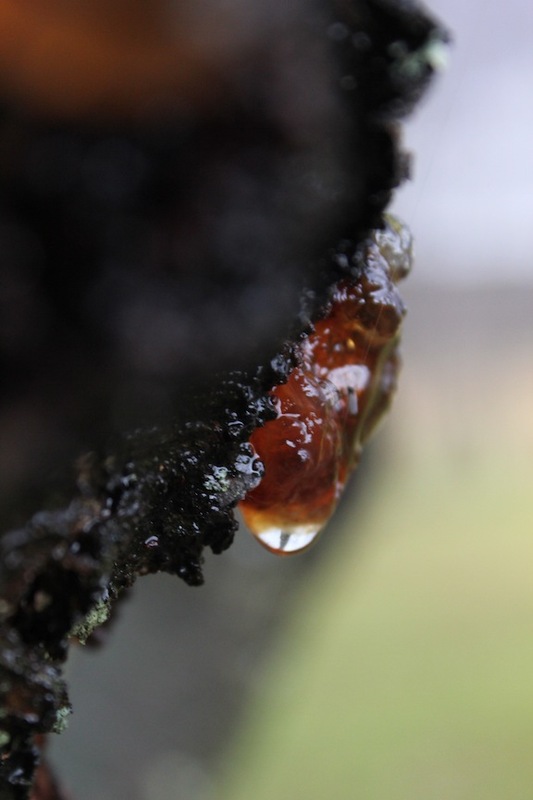 An injured tree bleeds sap. Rain runs down the tree. Droplets of water form where the clusters of oozed out jelly have collected. I know, without needing to be told, that this tree will not survive the winter. I can see it, without seeing it, laying partially buried by a snowdrift. It is a black line peeking from beneath a blanket of whiteness. But today it is still grey out and has yet to fade to white, and the tree still stands.